Gionee will officially introduce its Gionee A1 Signature Edition on 28th June, 2017 and believe it or not, it will be a treat for all cricket lovers. Gionee A1 had made its debut this year in March at MWC 2017. The smartphone, available in gray, black and gold, was sold at an economical price of INR 19,999. To pamper its customers, the smartphone company will now launch its Gionee A1 Signature Edition on 28th June. 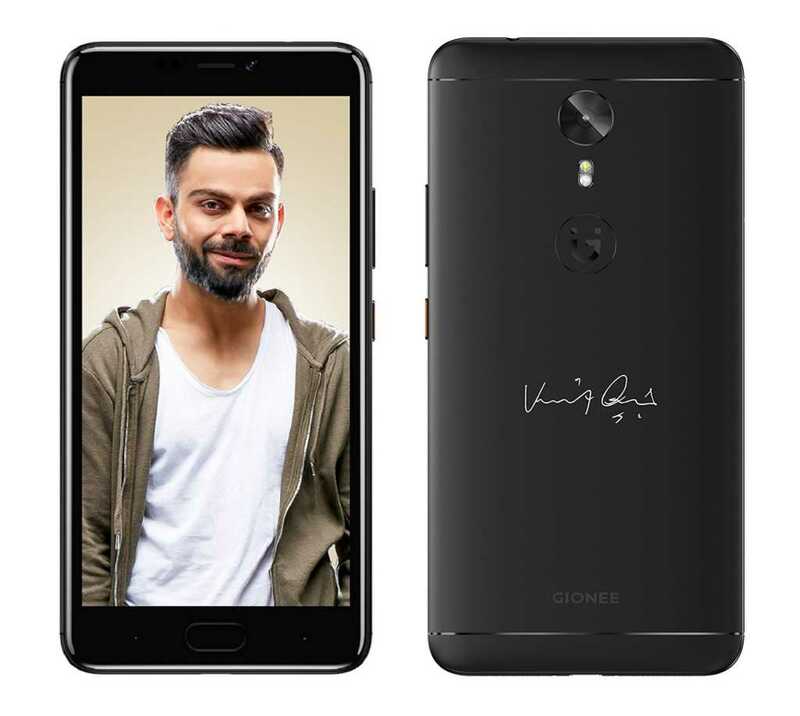 This smartphone variant will have signature of the hot Indian skipper and brand ambassador of Gionee ‘Virat Kohli’ on its rear side. Gionee A1 Signature Edition bears the similar features and specs as found in Gionee A1. The prospective buyers can pre-book this smartphone from 19th June, 2017, 12:00:01 P.M to 27th June, 2017, 11:59:59 A.M. on Amazon. And ultimately, they will get Sennheiser headphone free of cost. Earlier, Amazon had offered HTC U Play at a huge discount of Rs. 10,000 along with a free insurance. And guess what? Amazon has reduced its Gionee A1 price from INR 19,999 to INR 16,999. This 5.5-inch smartphone sports an FHD AMOLED display and 1920×1080 pixel resolution. It also houses a reliable battery of 4010mAh, 4GB RAM, and 64GB internal storage, Android 7.0 Nougat and MediaTek Helio P10 processor. Its front camera being 16MP and rear camera being 13MP are there to allure the users indeed. Another promising smartphone Gionee S10 will have 20MP front camera and 16MP rear camera. So, all Virat Kohli fans, what’re you waiting for? Pre-book this Gionee A1 Signature Edition today, and flaunt this precious variant among your friends and family.